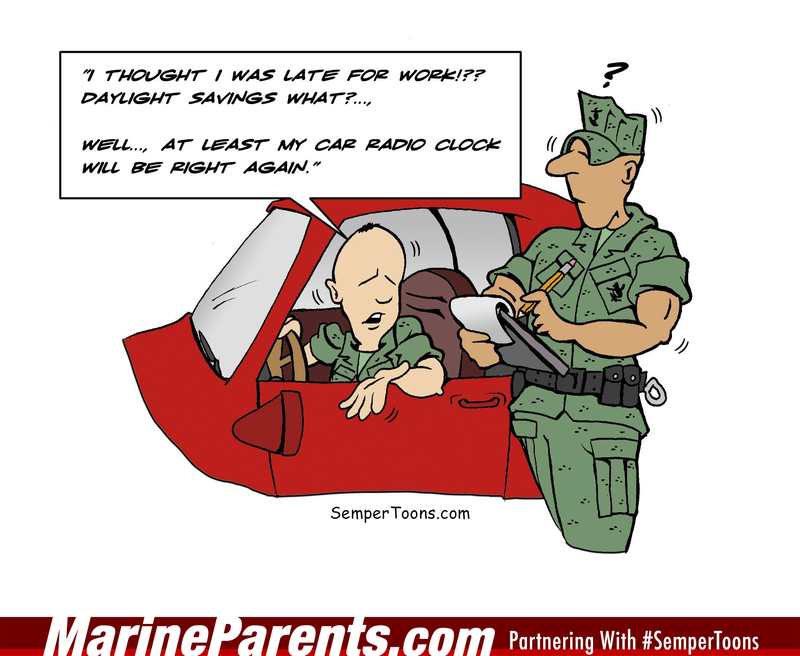 Gunny Wolf from SemperToons has created this cartoon to share with Marines and their families. "Daylight savings what? Well... at least my car radio clock will be right again."